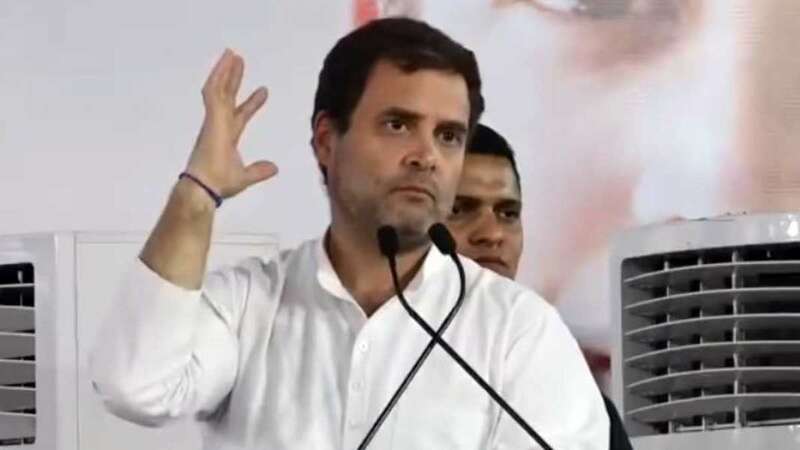 Jaipur : Rahul Gandhi on Wednesday reiterated to Bharatiya Janata Party's claim that he is bluffing people with 'Nyay' scheme to fetch votes in the upcoming Lok Sabha Elections 2019. The Congress President claimed that he had a formal discussion with senior economists, including Raghuram Rajan, before announcing the scheme. "We consulted all big economists, without telling anyone without giving any speech. We were engaged in this work for six months. Take the list of all big economists of the world, we consulted them (including) Raghuram Rajan," Gandhi said at an event in Jaipur on Tuesday. Meanwhile he also took a pot shot on Prime Minister Narendra Modi, saying that if he can give money to the rich people, Congress can give money to the poor people residing in the nation.